Leap seconds are known to cause application errors and this can be a concern for many savvy developers and systems administrators. The 169.254.169.123 clock smooths out leap seconds some period of time (commonly called leap smearing) which makes it easy for your applications to deal with leap seconds. This service is provided at no additional charge and is immediately available in all public AWS regions to all instances running in a VPC. 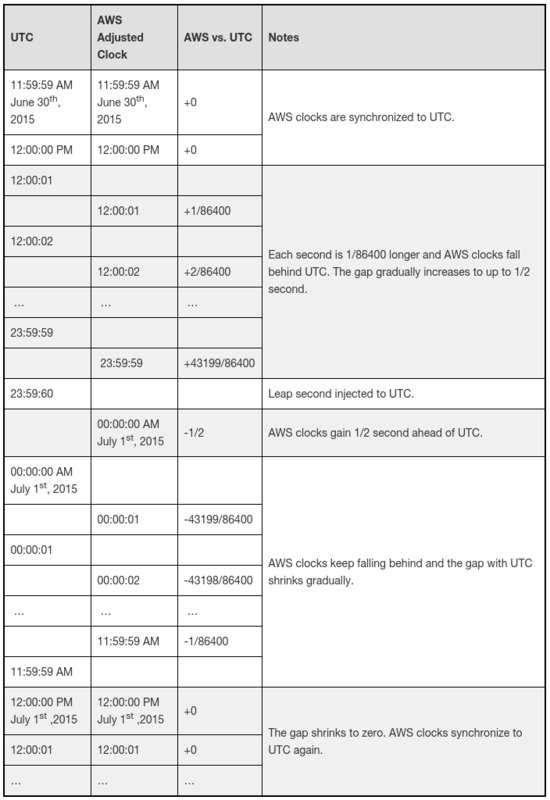 This entry was posted in AWS, Cloud, Computer, Murmuring, Network, Service and tagged amazon, aws, cloud, leap, ntp, server, service, smearing, sync, time on November 30, 2017 by Gea-Suan Lin.